Following up from last week's release, and to answer questions people have had in the wake of them, the team working on the standalone DayZ game have put out more screenshots showing off the interior sections. Answering criticisms that the interiors looked a little empty—even though they were clearly marked work-in-progress! 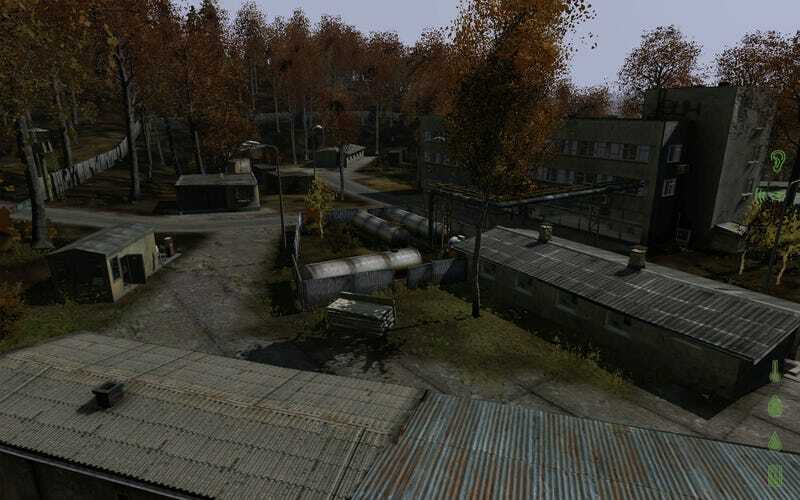 - DayZ creator Dean Hall says "Adding gore or deterioration can quickly be overdone, so we feel our first task is to create the interiors and ensure we are happy with the gameplay and quality of the basic texture work—then we will go through to add elements more authentic to the situation." He adds that "we believe the experience should have a style more akin to "The Road" rather than gore for gore's sake". Also of note with these screens is that some of them show off the work of Ivan Buchta and Martin Pezlar, the Bohemia Interactive developers who are in custody in Greece following their absurd arrest last month. The pair "conducted a revamping of the map to add some new areas, tidy up bugs, and rebalance the placement of ponds, fountains, and such", with the end result that the "usable area of the map is actually extended by their work".